What does your weekend have in store? How about taking a walk downtown with a free public art audio tour! It’s a win all-around, as you’ll learn even more about your city and fill your brain with interesting facts and history to impress the next round of house guests. And while you’re getting exercise, you’ll also be learning some pretty amazing stuff about your community. The Arts and Science Council of Charlotte, North Carolina, views public art as integral to a community’s fabric, and we couldn’t agree more. Their downtown public art walking tour takes listeners from grand outdoor sculptures to Romare Bearden’s stunning mosaic masterpiece “Before Dawn,” just inside the doors of a public library. Capital of Ohio and home to Ohio State, Columbus’ Wexner Center or the Short North’s 15 galleries and venues are always reliable with edgy and contemporary art. Now, the City of Columbus has 12 free public art walks available for download. 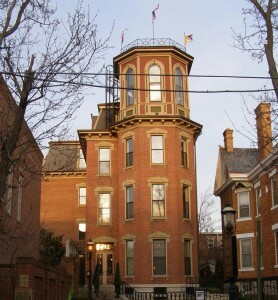 Spend an afternoon exploring the brick-lined streets and unique architecture of German Village, then stop by local favorite The Thurman Cafe for a tasty burger. It’s supposed to be in the 70s this weekend in Dallas, making it a perfect time to explore downtown through public art. Download a map to accompany your walk and your 30 audio tour stops, (including a public park, which makes us very happy) then put on your walking shoes for a 3.3 mile route, all courtesy of Public Artwalk Dallas. Inside the Bradbury Building…does it look familiar? Four audio tours of Los Angeles are available with a click of a button, complements of CRA/LA. 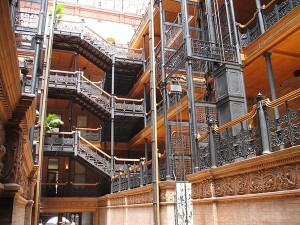 The Historic Core tour takes you to downtown’s Pershing Square, the opulent Biltmore Hotel, the famous interiors of the Bradbury Building (featured in such films as Blade Runner) and Grand Central Market. 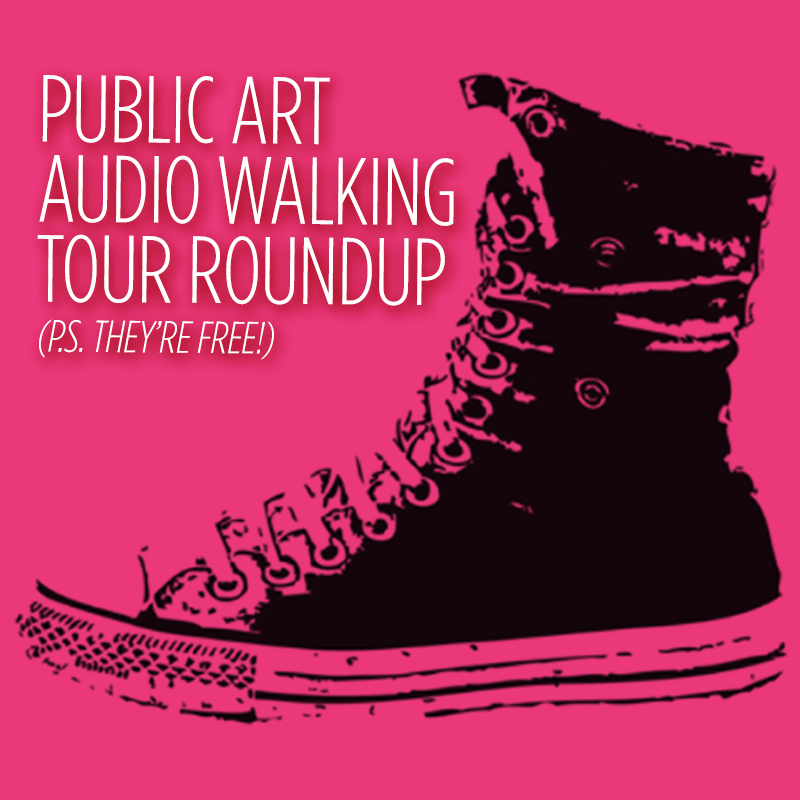 Is there a public art audio tour near you? We’d love to hear about it!